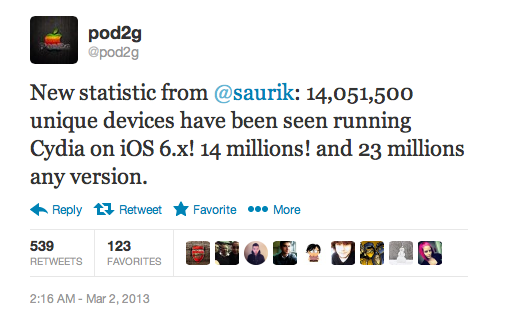 Are you one of the 14 million to Jailbreak iOS 6? There’s no denying that Jailbreaking is a big business, just type Jailbreak into Google and you’re returned with 74,300,000 results. Considering the last Untethered Jailbreak was back in iOS 5.x days, users had almost become accustom with living life with a non-jailbroken device. But then the iOS 6 Untethered Jailbreak was released, and it was adopted in the masses. 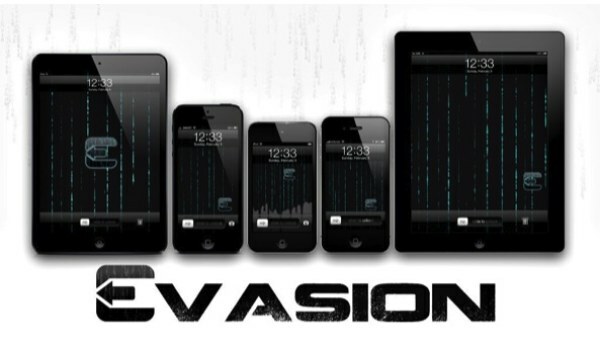 Within the first 10 minutes of Evasi0n.com going live – the tool behind the Untethered iOS 6 Jailbreak – it was downloaded over 100,000 times. Just 1 day later that number jumped to nearly 2 million. Days later, 4 million, before finally settling at seemingly the 7 million figure. However, fast forward a few weeks and Pod2g, one of the guys behind the Jailbreak, has taken to Twitter to reveal some surprising statistics about the popularity of the Jailbreak. Just 4 weeks after Evasi0n went public, it has been adopted by over 14 million users. Combining this with all other versions of iOS, it takes the number to a staggering 23 million across all devices on all versions. The sheer demand for a Jailbreak doesn’t seem to have died away at all, it still appears more alive than ever, with most people having to wait over a year between Jailbreaks. Whilst the Evasi0n Jailbreak remains unpatched in the latest public iOS release, Apple has patched elements of the exploitations used in the Jailbreak process in iOS 6.1.3, therefore it is advised that if you are not one of the 14 million people having already Jailbroken your device, or one of those still stuck on iOS 5.x, that you take the opportunity to use the exploit while you can. These statistics paint a clear message about the state of the platform. Opening the device up to allow 3rd party tweaks is in clear demand, and despite the iPhone and iPad dominating marketshare, it is clear that its success is significantly influenced by the ability to Jailbreak. I want to open the question up to our readers, if a Jailbreak didn’t exist, would you still be an iOS user?